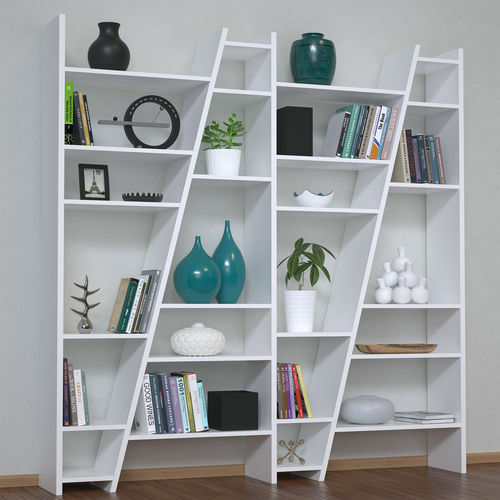 High quality model of Delta Composition Shelving Unit bookcase. Model created in 3DsMax 2014 and converted for 3dsMax 2011, rendered with Vray 3.2. Materials set up for Vray 2.0, Vray 3.0 and Corona render. Model has proper real world scale. Materials, objects and textures has unique and meaningful names. Textures paths set to relative. All pivot points positioned in the right spot and oriented properly. -------------------------------------------------- File list: • *.max 2011 - with materials for V-ray 2.0; • *.max 2011 - with materials for V-ray 3.0 • *.max 2011 - with materials for Corona render; • *.fbx; • *.obj; • archive with textures.